To start, you’ll find Breakout’s West Chester location in the Northern suburbs of Cincinnati. It’s a store front location in a very nice plaza conveniently next to a major highway so you can’t miss it. There was ample parking and it’s important to note for out of town visitors like us, Cincinnati’s famous Skyline Chilli restaurant is also in the same plaza (we were told by several people it’s a must try). We walked into a small lobby that could hold about 6-8 people comfortably, so be cautioned if it’s a busy night it might be a bit tight. The 2 young gentlemen behind the desk seemed oddly disinterested and/or untrained at dealing with customers. There was another group just behind us that wanted to make a change to the amount of people they had participating (it sounded like some last minute additions for a birthday gathering of friends). In fairness we know this can be annoying when people try to change reservations at the last minute, but the staff dealing with this customer went from being disinterested to appearing mildly stressed and annoyed. Could it have simply been a rough night for the young man? We assumed it was and moved on… We entered the Island Escape room and instantly felt something wasn’t quite right. This time the other young gentleman who acted as our GM seemed slightly disinterested as he explained the standard safety rules and pressed play on the video introduction. Ok room quality issues aside, was it immersive? Our team was divided on this. By the midpoint of the game we had 2 members who were slightly frustrated, 2 members who were remaining optimistic, and one who was feeling both emotions. The story is pretty bare bones (you’re on a resort island and need to evacuate immediately) which is fully revealed in the first 2-min but not further developed throughout. The room quality also impacted our ability to feel immersed in the environment as we could hear teams in other rooms each time they raised their voices, cheered, or screamed . Overall the room quality, the under-developed story, and the sounds from other rooms weighed heavy on our ability to experience the room at its best. 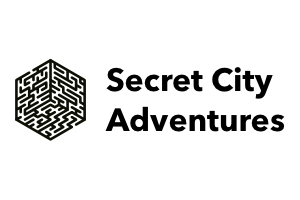 Again it wasn’t horrible but it is noticeably different from their other locations and slightly below what you’d expect to experience at most escape rooms. And finally was it fun? Well… First time players will probably enjoy it. The room fits the description of a great introductory room. 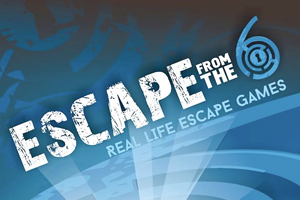 The puzzles aren’t overly complicated, the set design doesn’t need to be movie level quality, you won’t get bogged down by the story, and you can choose to work together or alone on the puzzles… Having said that, if you’ve done a handful of escape rooms already and you want a certain level of room quality, immersion, and puzzle quality, Island Escape might not be for you. 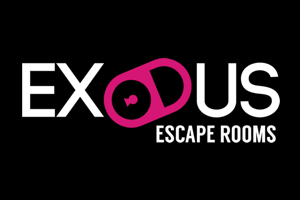 The West Chester location of Breakout was a bit of a surprise to us, but after sharing our observations with the location management and ownership of Breakout we’re confident our concerns regarding customer service, room quality, and consistency between locations will be addressed. More than ever, we want to hear your thoughts! Be sure to comment in the section below or send us a message via ERA’s email, Facebook, or Twitter… As always, happy escaping!